Every now and then I stumble across an electric vehicle that makes my mouth fall open and my lower jaw hit the floor with a thud. This is one of those vehicles. 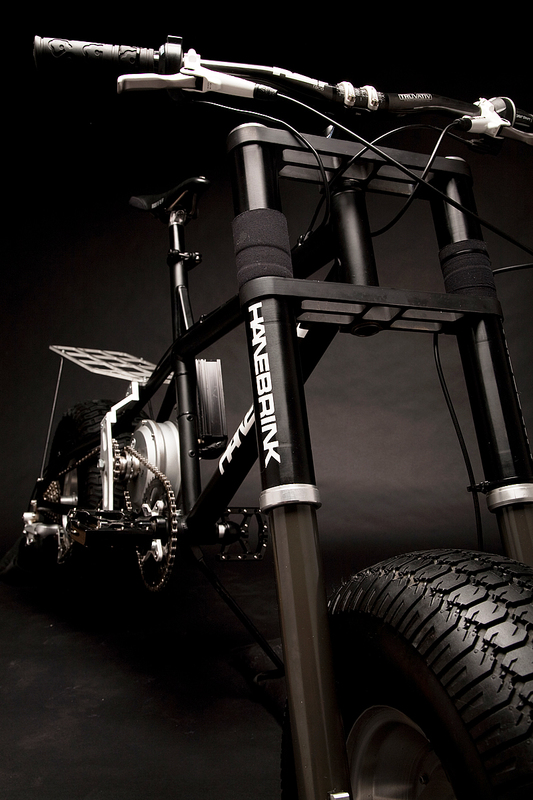 The Hanebrink ATB is a pedal/electric powered bike capable of riding over any surface except liquid water, those huge tires mean that downhill mountain biking, beach cycling and snow cycling are all easily possible and the electric motor and lithium-ion phosphate battery pack means that when you get tired you can sit back and squeeze on the throttle and let the Aotema 600 Watt Electric Motor take over. Nice. 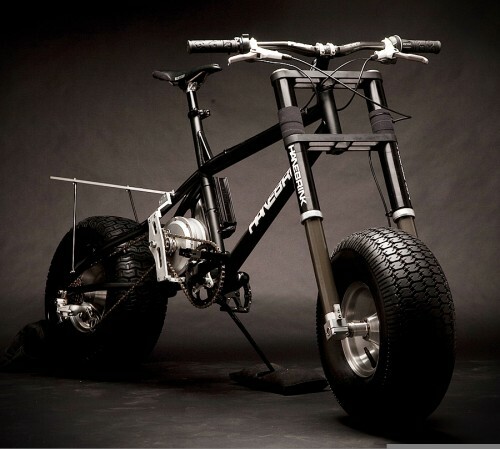 Designed by Dan Hanebrink, the Hanebrink ATB has 14 speeds and an electric motor that can get it up to 40 mph on the road. Dan is an engineer who has designed vehicles for NASA and multiple polar expeditions so it seems safe to say he knows what he’s doing. The bike has a one hour battery life on the road and up to 1.5 hours off road, which seems amazing considering the size of the battery pack. Now for the bad news. I for one was actually ready to whip out the plastic and place and order for one of these bad boys until I found the price tag. $7,650 USD. If it was $6,000 less (which was what I was roughly expecting) I would have one by now. Damn carbon fibre for being so blisteringly expensive! At that price I could pick up a Zero Dual Sport so for now I guess the Hanebrink isn’t for me. One day when those lottery numbers come through though, it’ll be all mine. UPDATE The manufacturers website Fortune Hanebrink lists the starting price as $5,500 USD. Sadly, this is still a smidgen over budget for the humble writer. visit this web site on regular basis to get updated from hottest information.